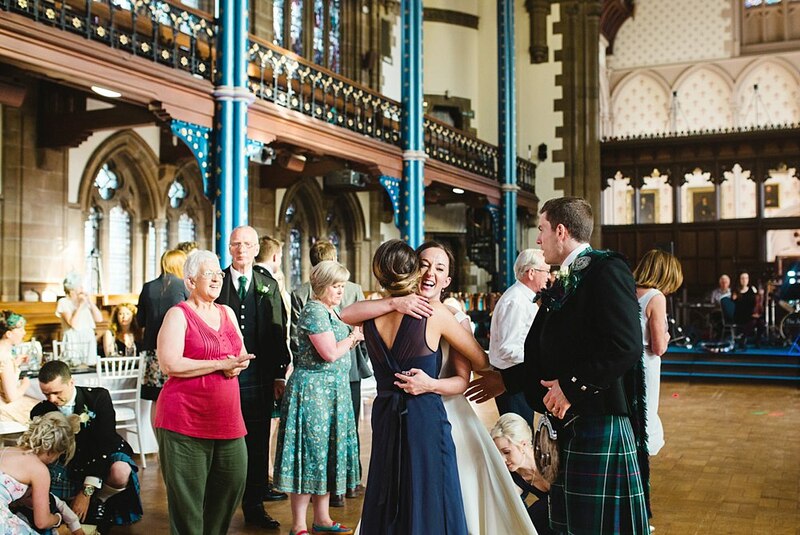 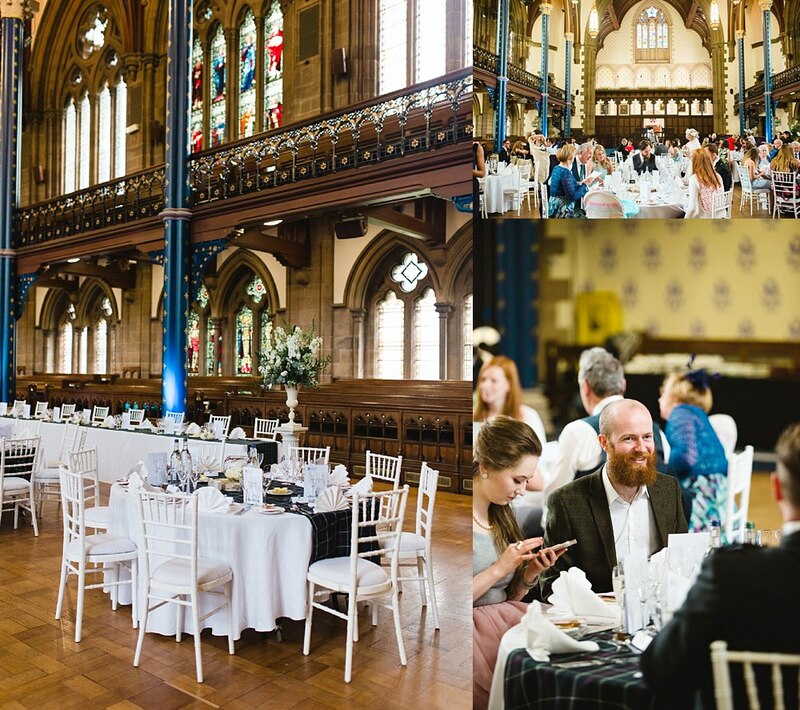 A Scottish wedding at Bute Halls at Glasgow University. 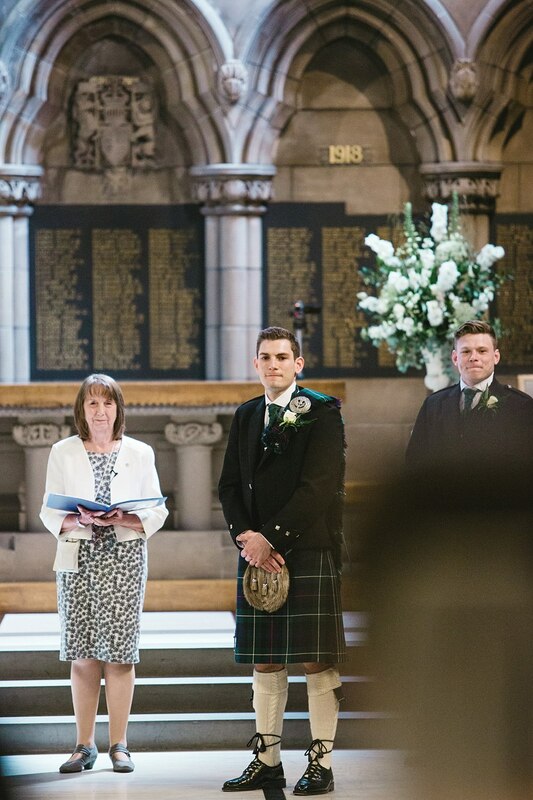 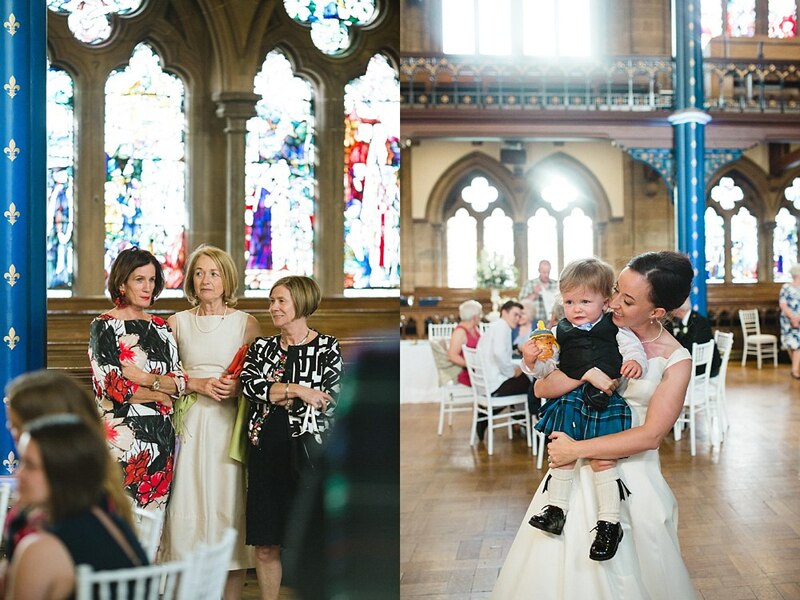 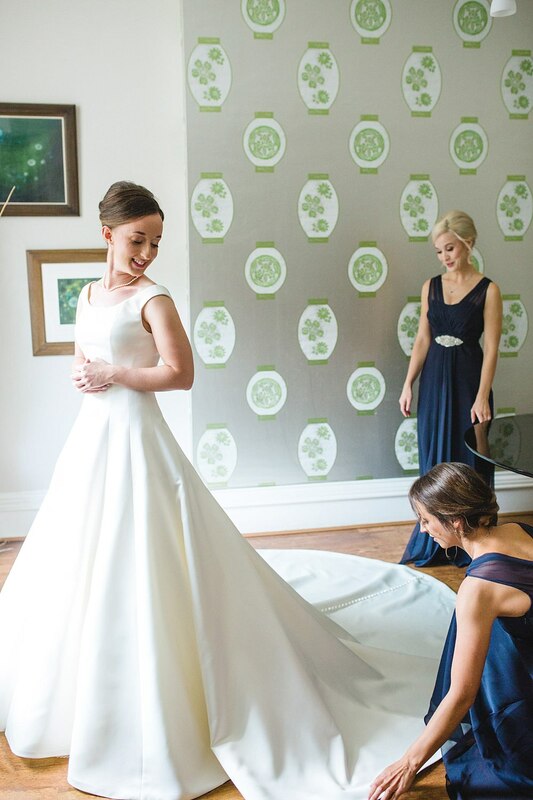 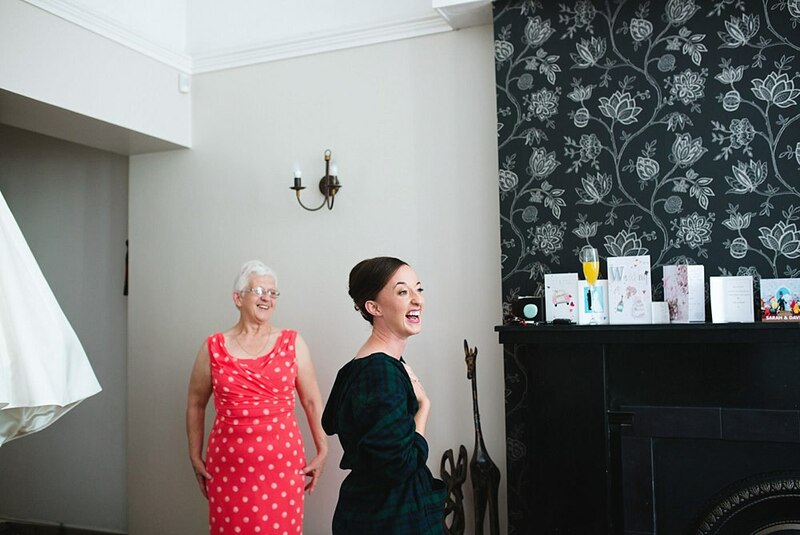 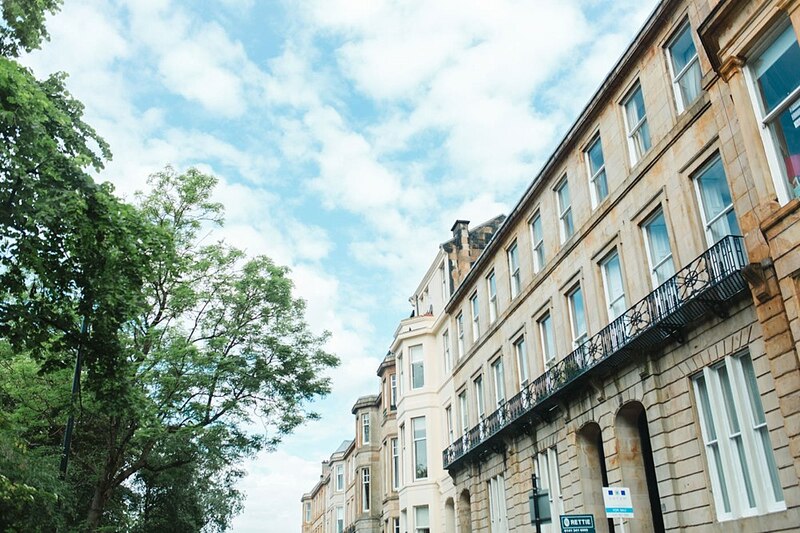 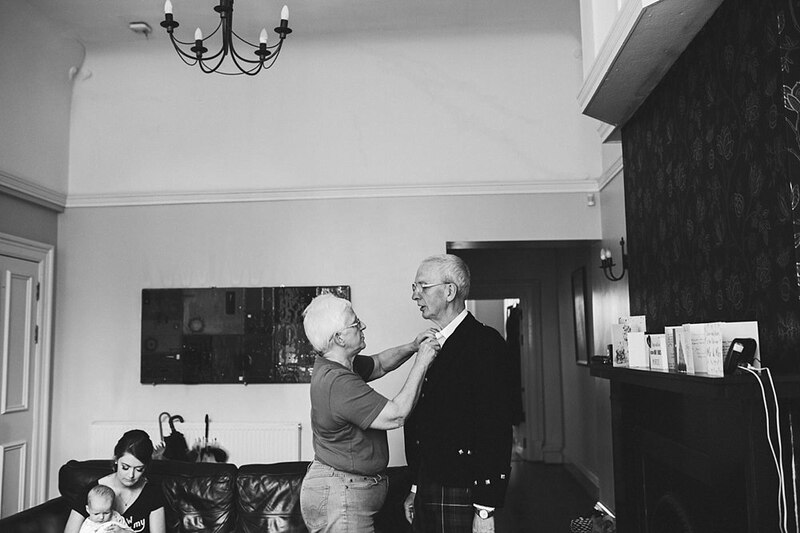 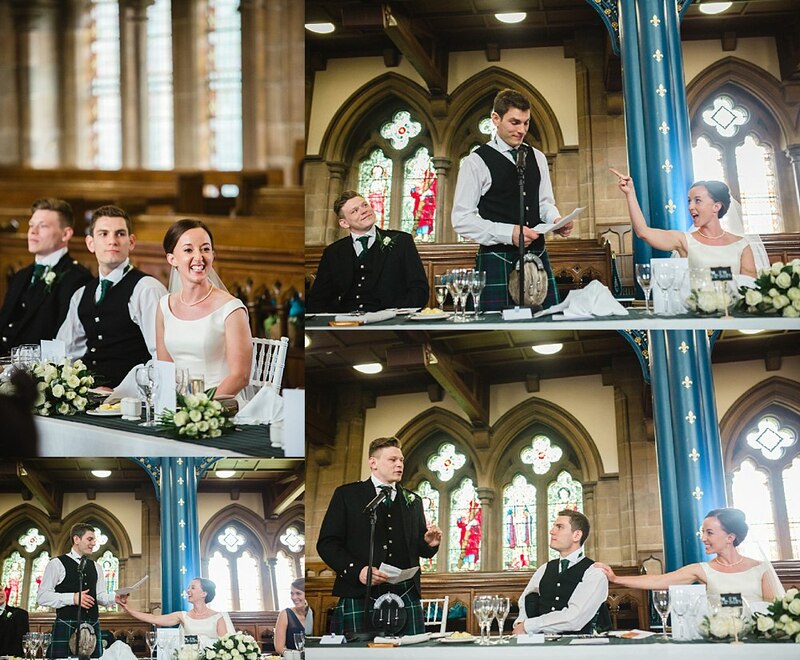 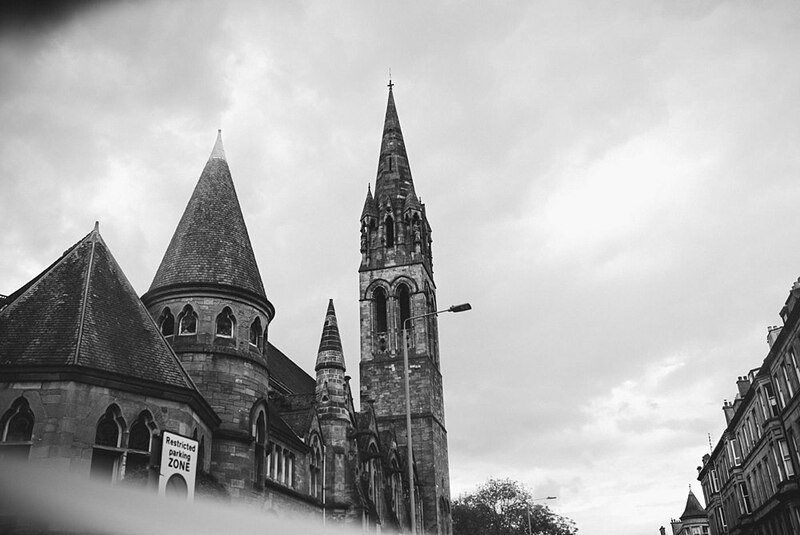 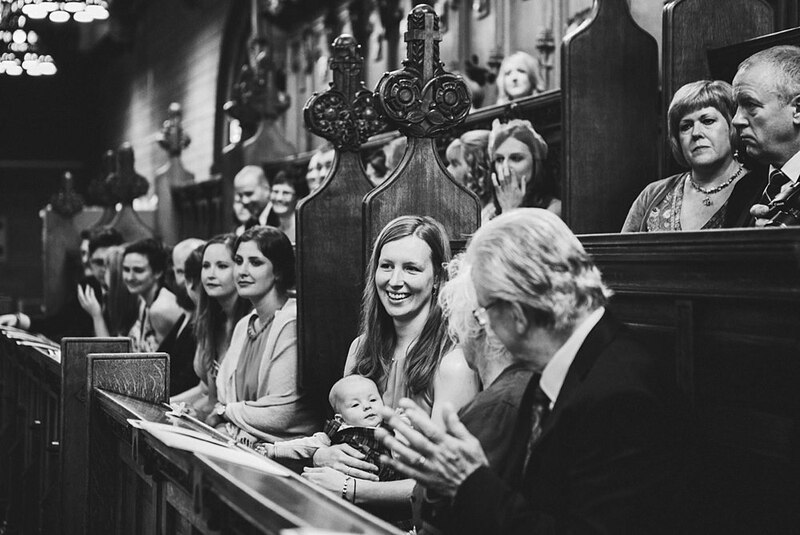 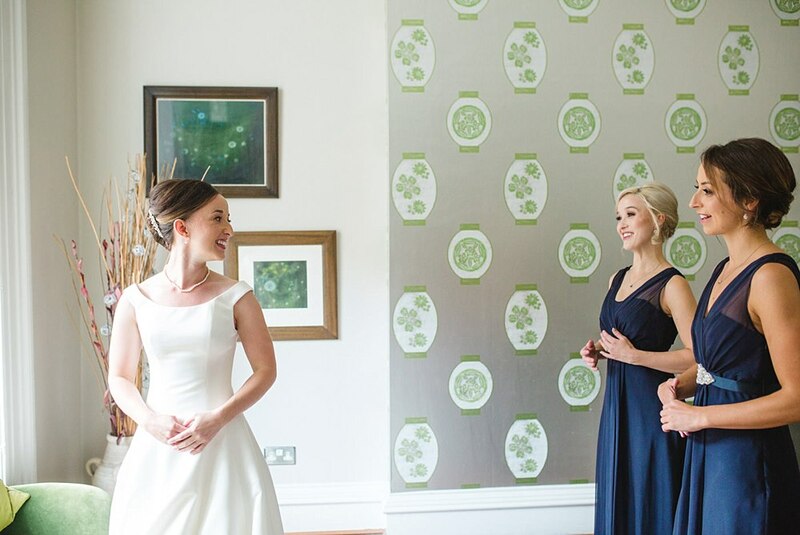 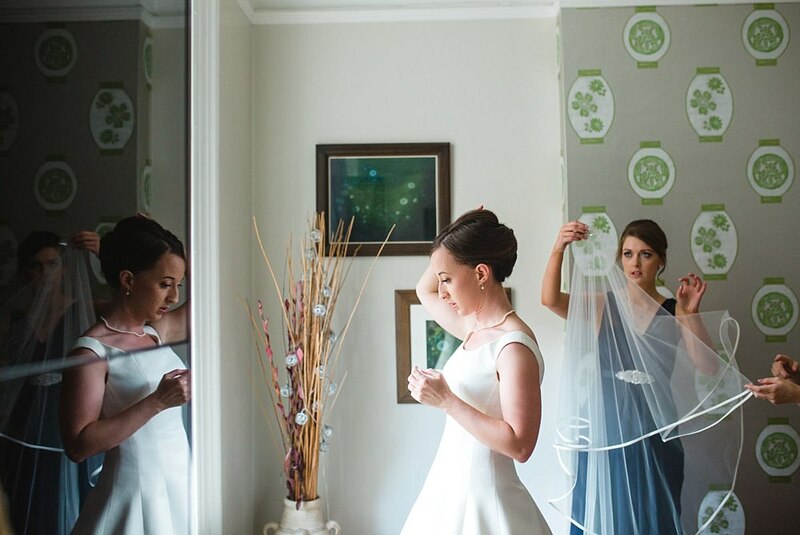 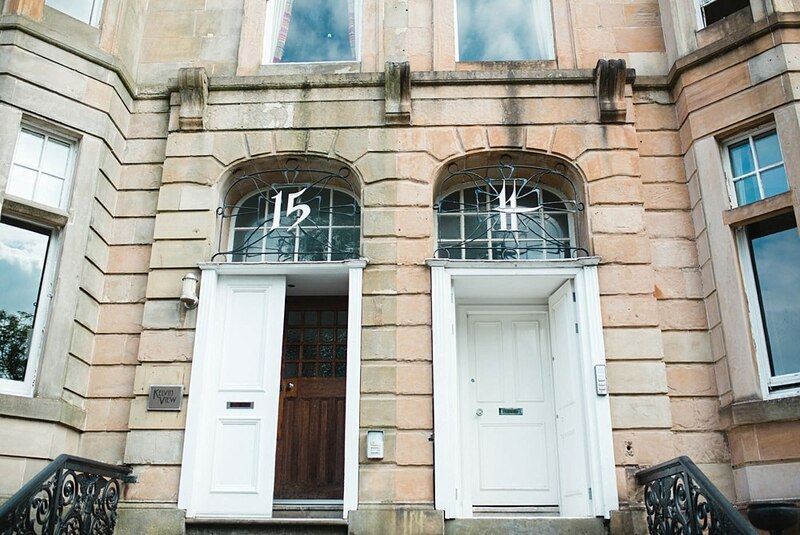 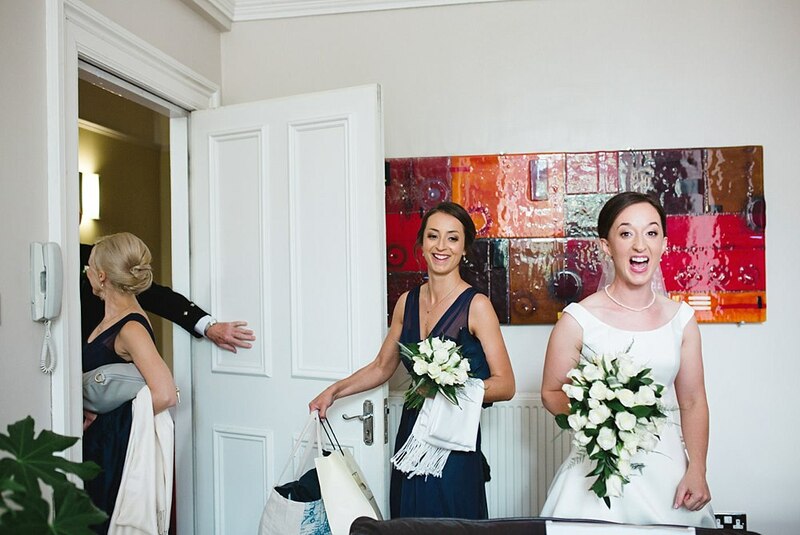 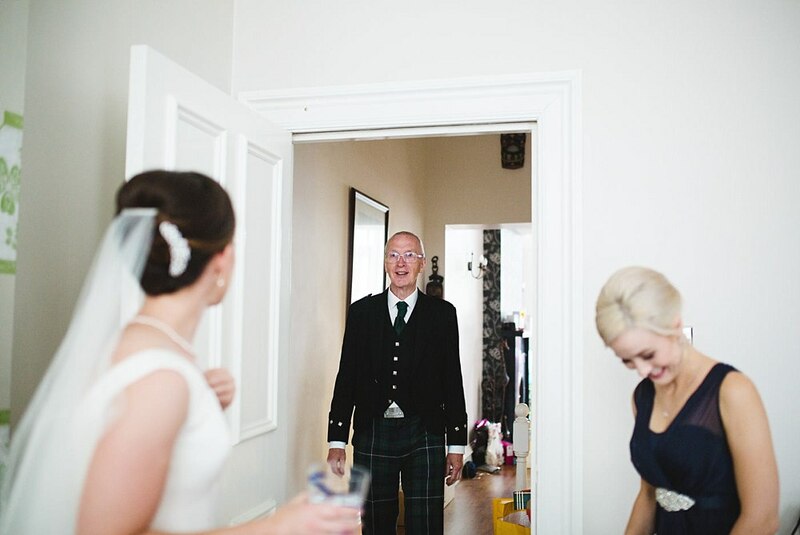 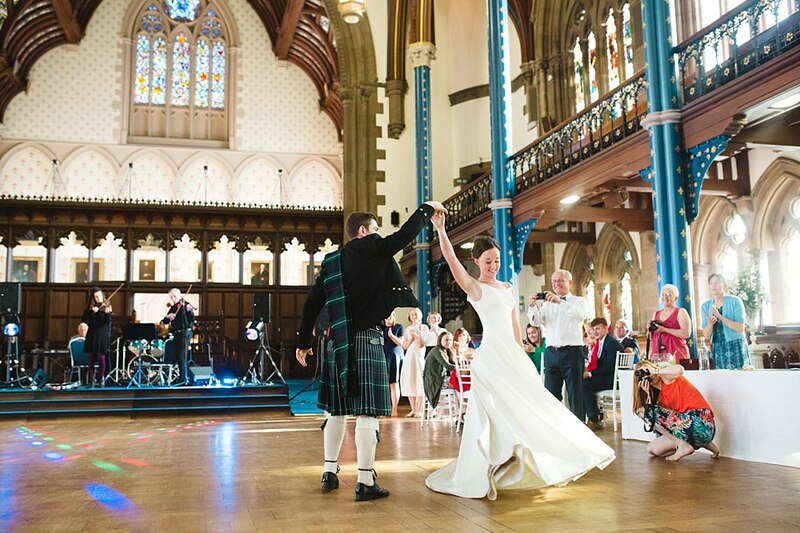 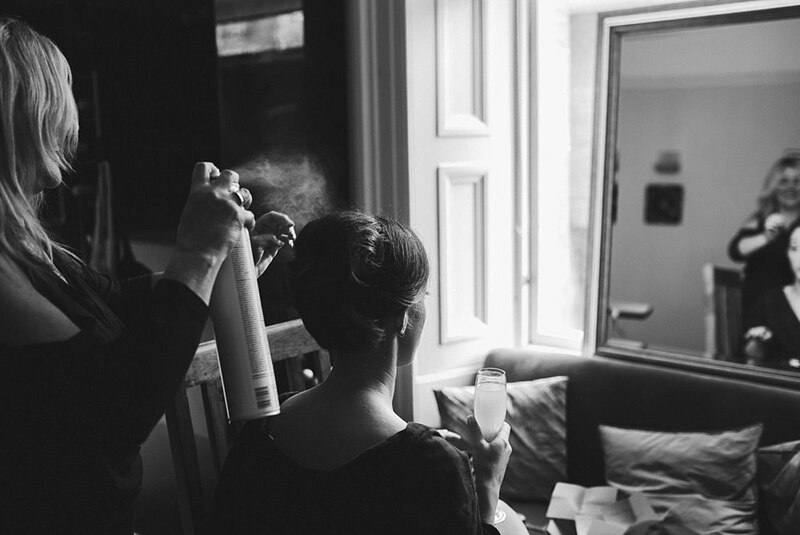 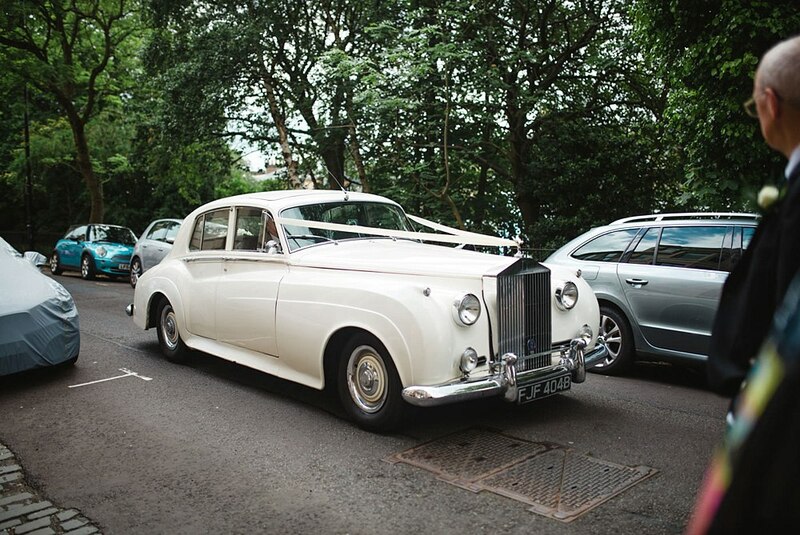 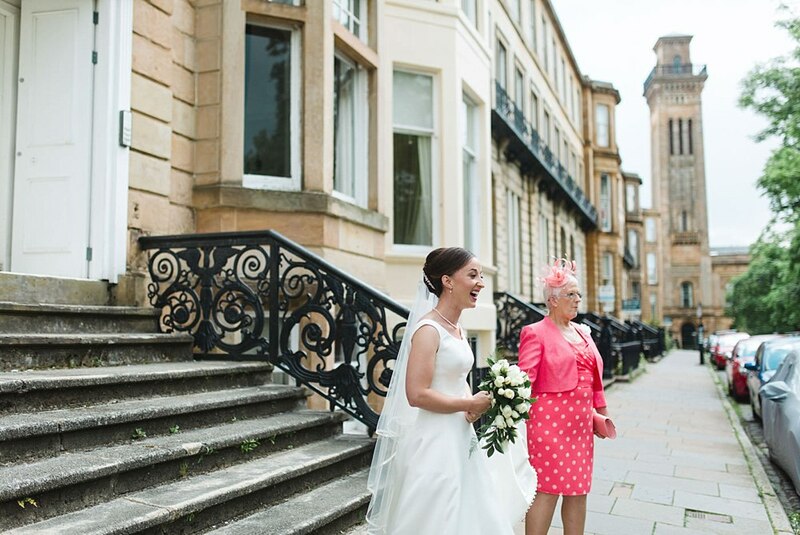 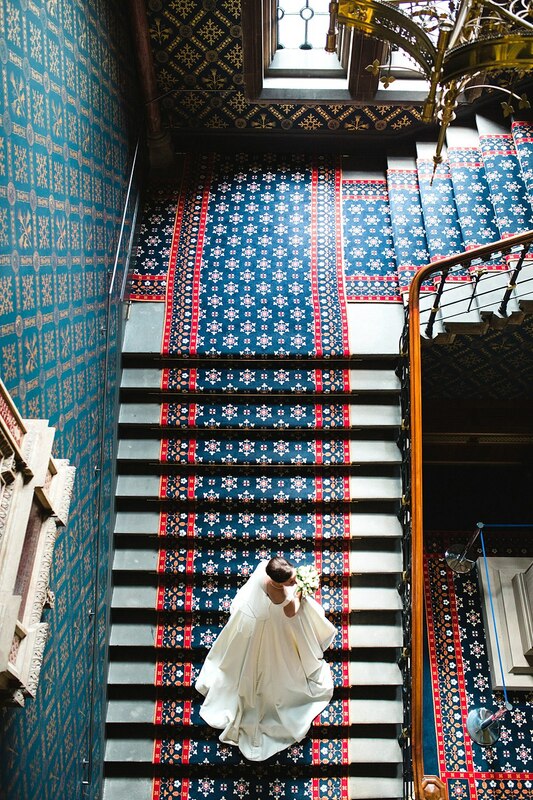 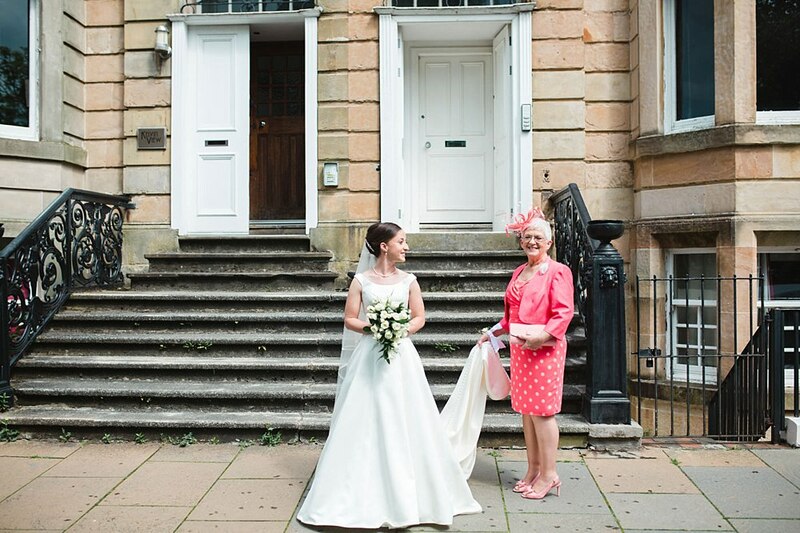 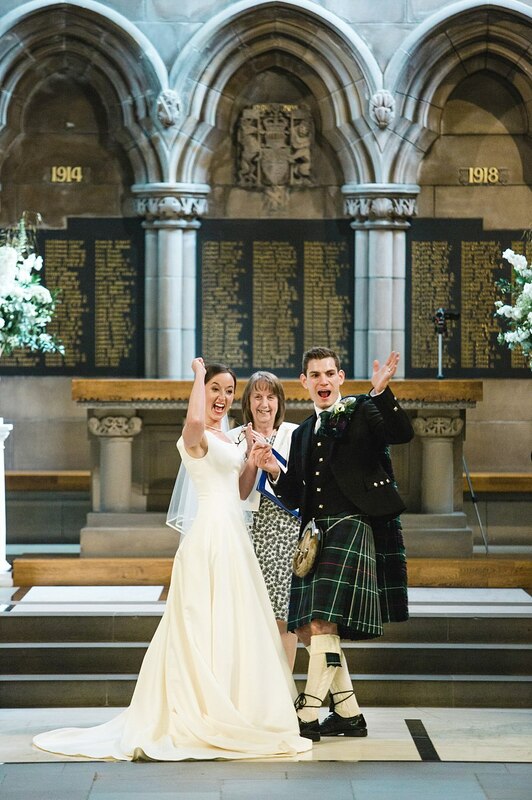 This was our very first wedding at the Bute Halls in Glasgow and we have to admit it actually took our breaths away! 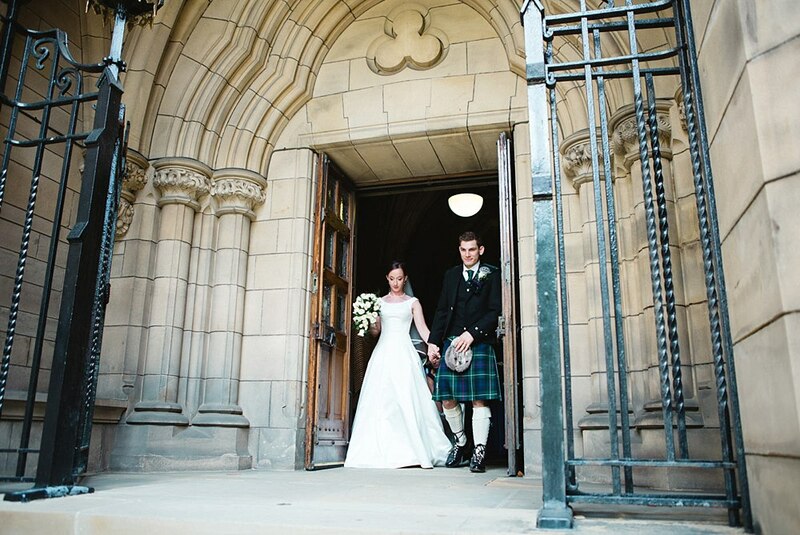 We had no clue that these beautiful halls were about the cloisters. 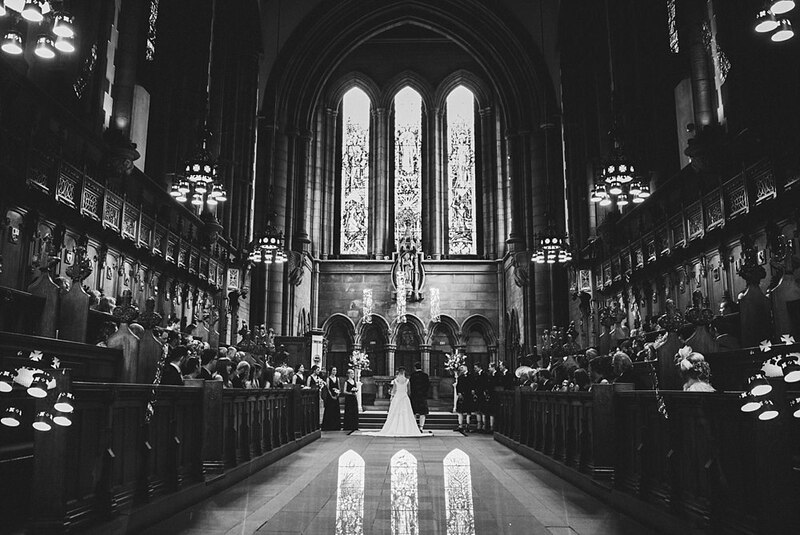 The stained glass windows and the architecture on the inside of Glasgow University are simply just as breathtaking as the outside of it. 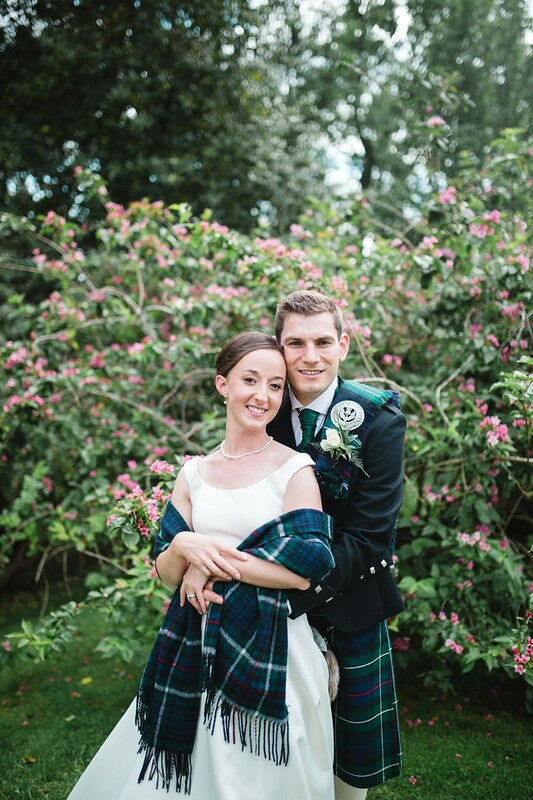 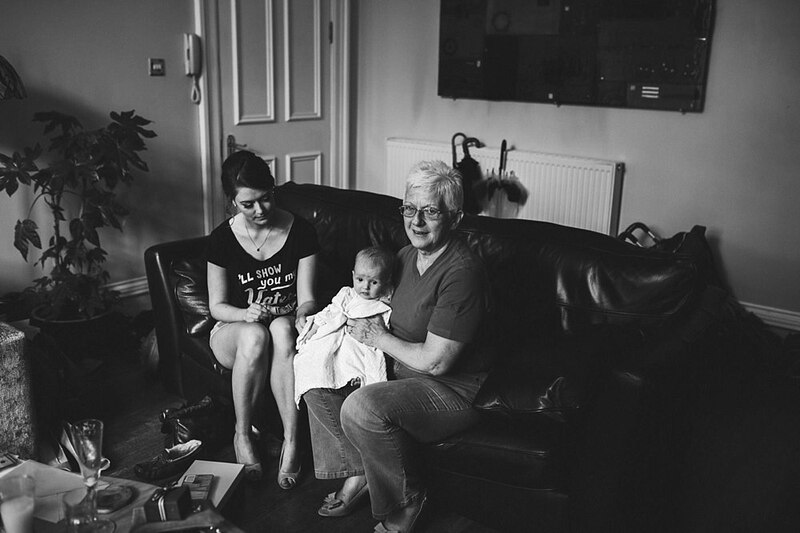 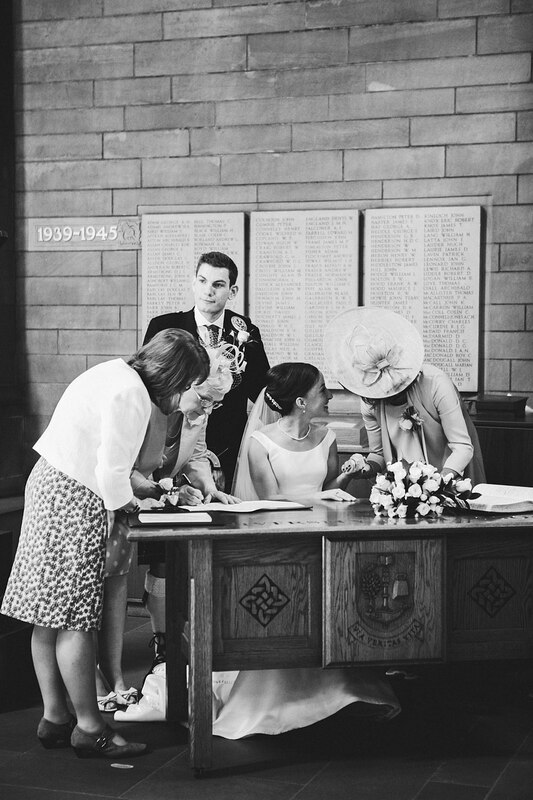 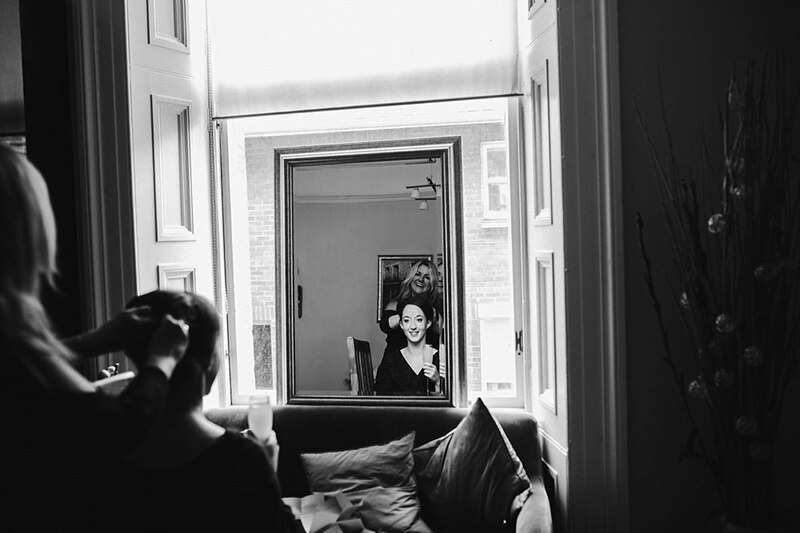 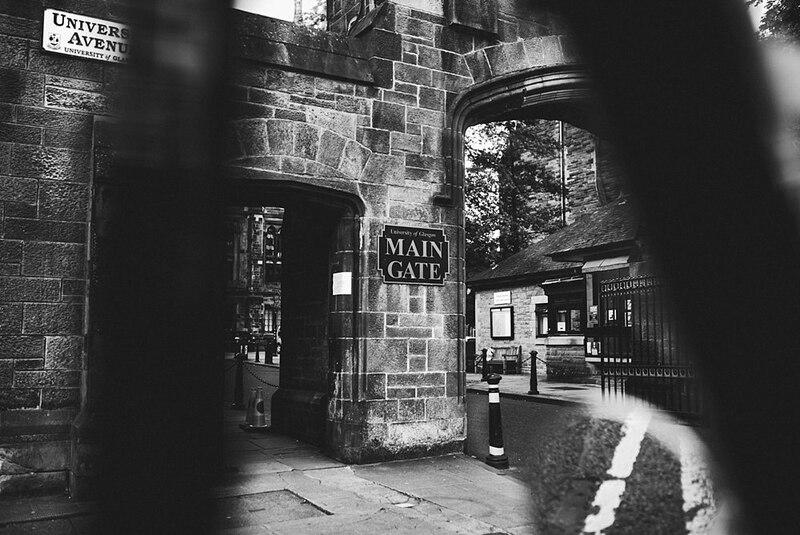 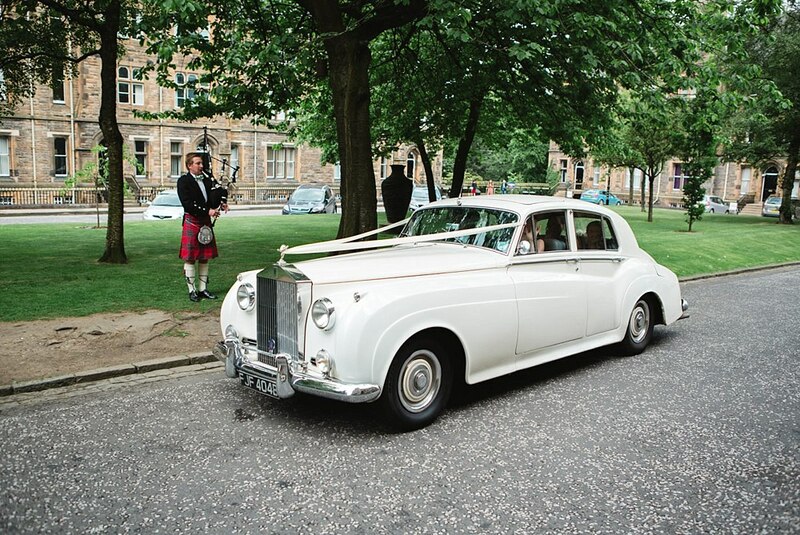 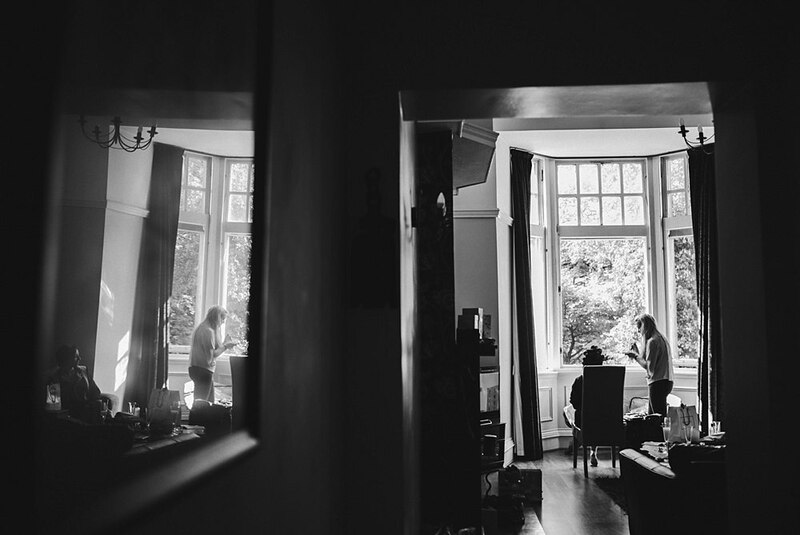 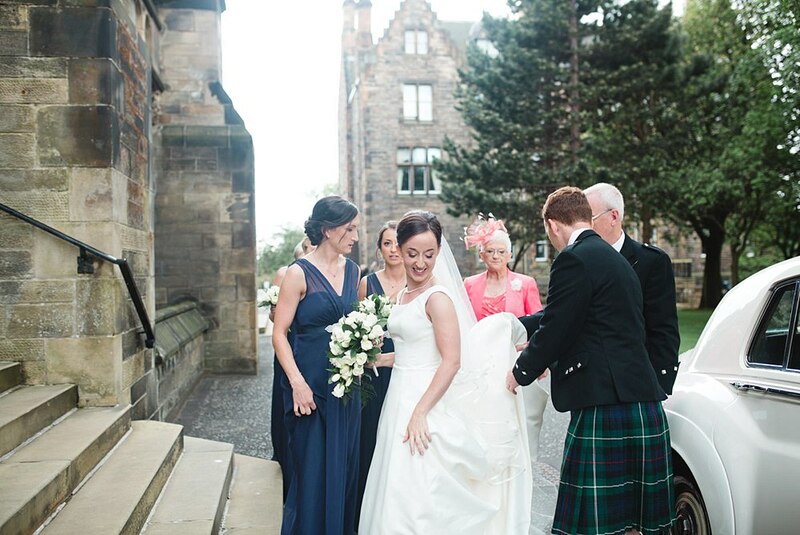 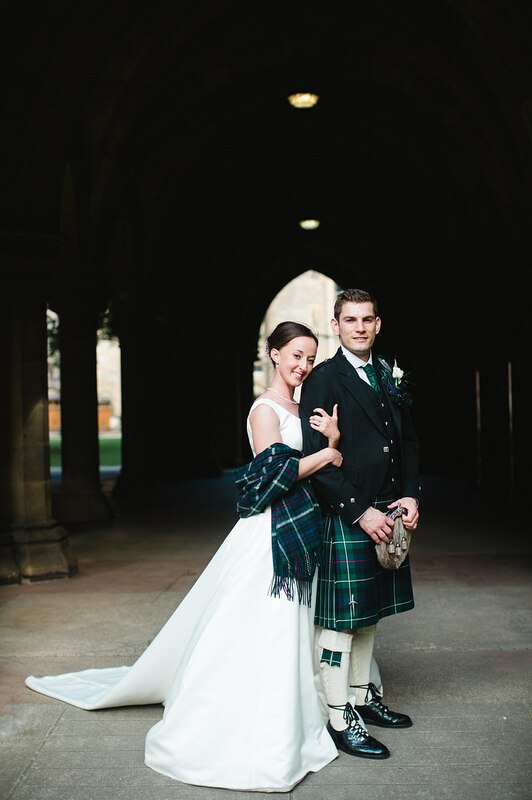 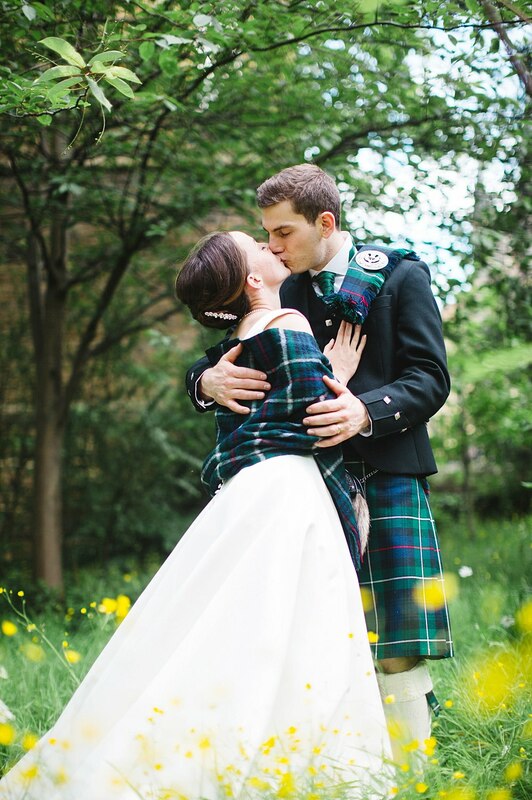 Sarah and David met at Glasgow University so it was the perfect spot for their day. 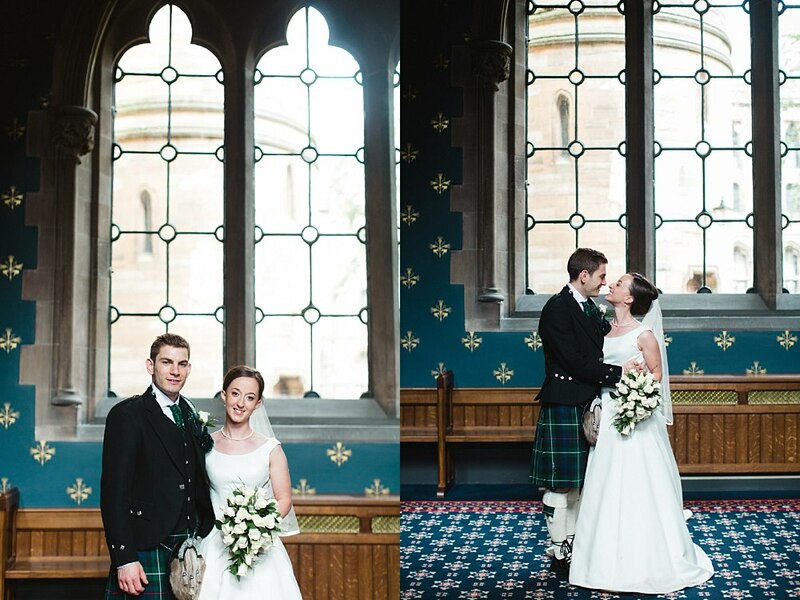 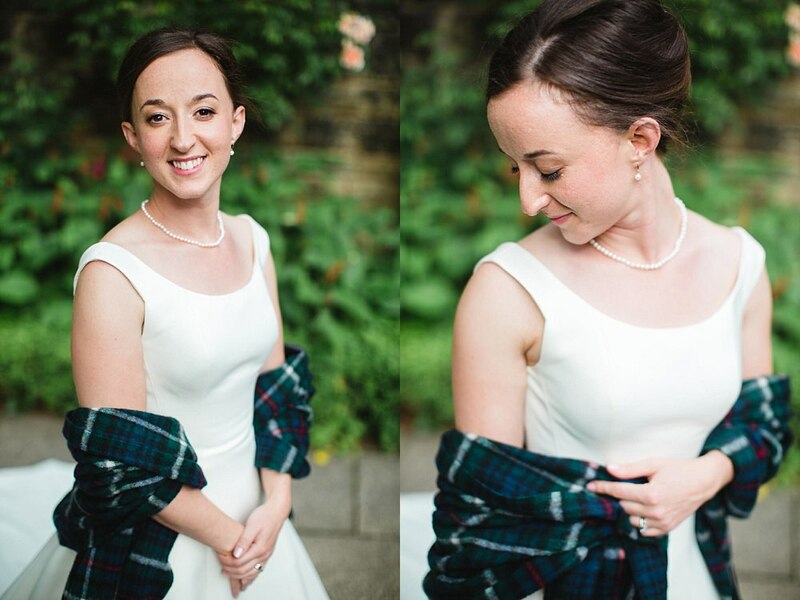 Sarah and David had such a beautiful day for their wedding (teamed with a random thundershower). 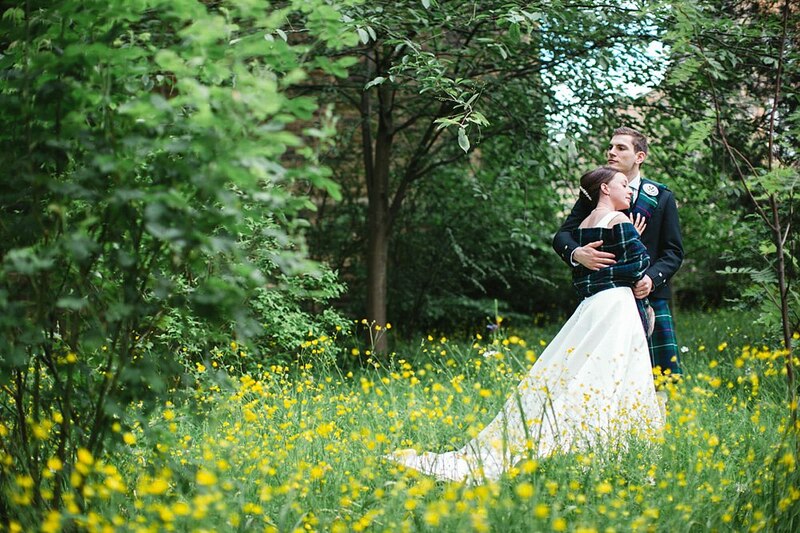 We also had the opportunity to capture some beautiful evening golden hour photos of the two of them whilst it was a bit quieter. 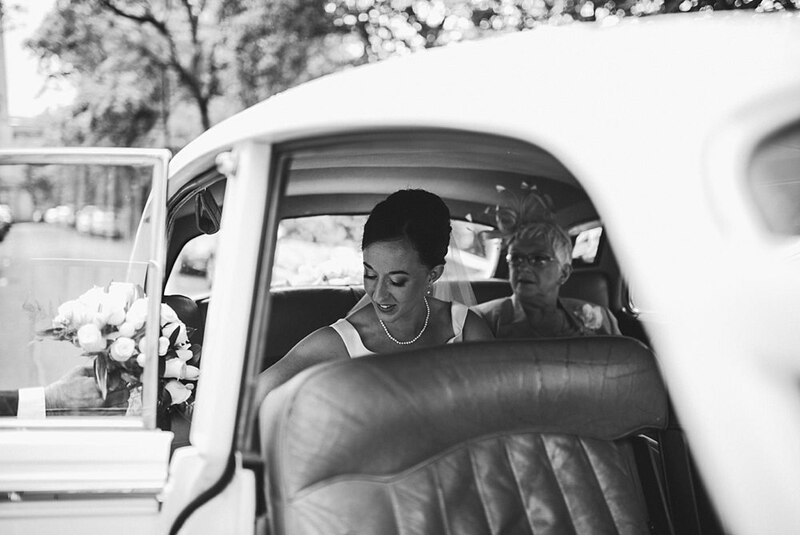 I had attempted such a shot as pictured above in the past but there were always vehicles in the background so this made me smile. 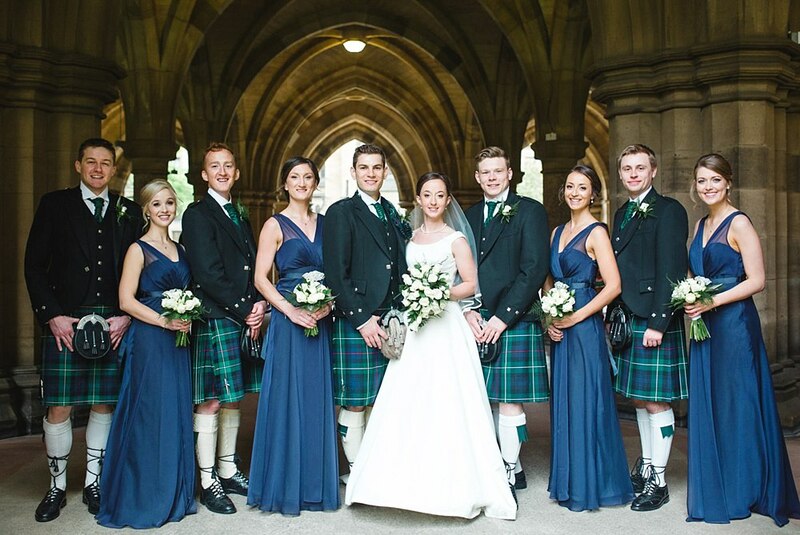 We started our day with them from the morning preps all the way through to the dancing which was absolutely EPIC!!! 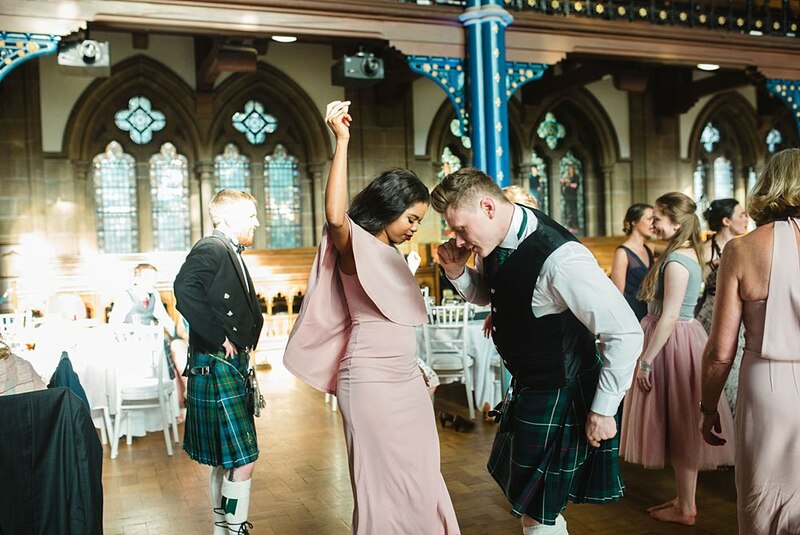 Instead of your usual first dance/waltz, these two decided to show off their ceilidh dancing skills and it was rather awesome. 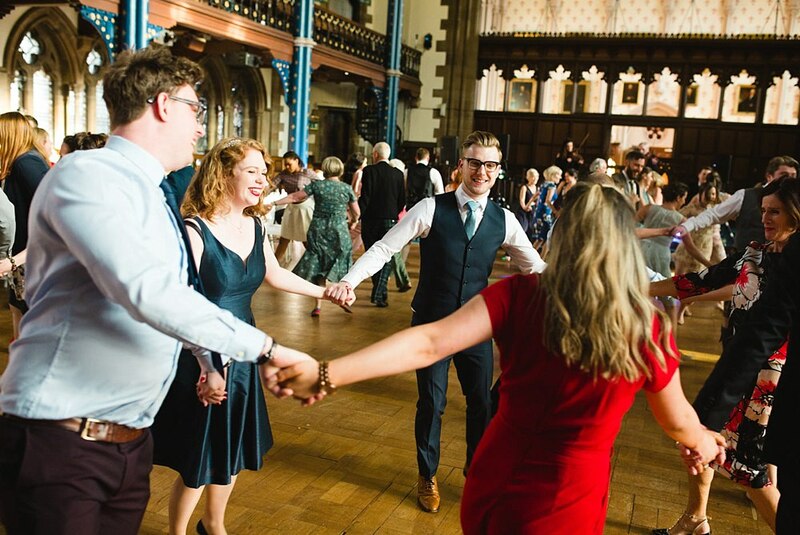 It also got all of their other guests into the mood for some dancing and what an amazing and big dance floor to have for a ceilidh. 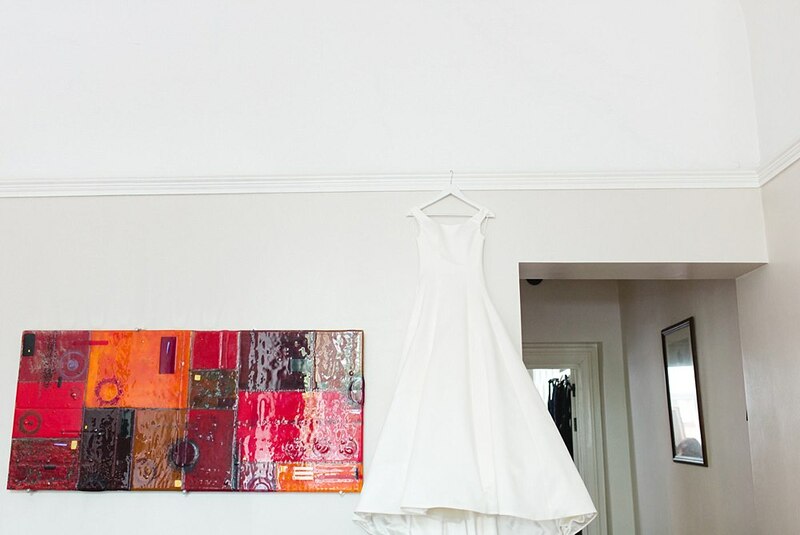 Feel free to think outside the box for your first dance and do what stays true to you both as a couple. 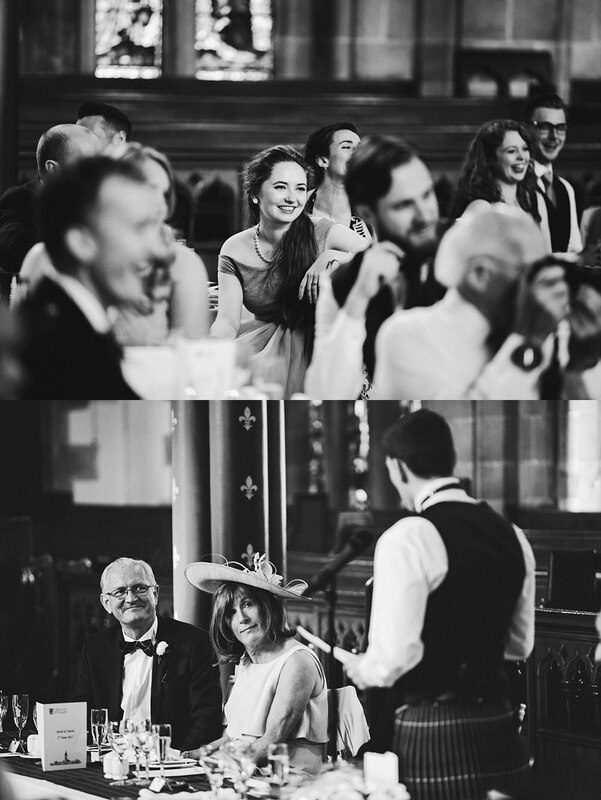 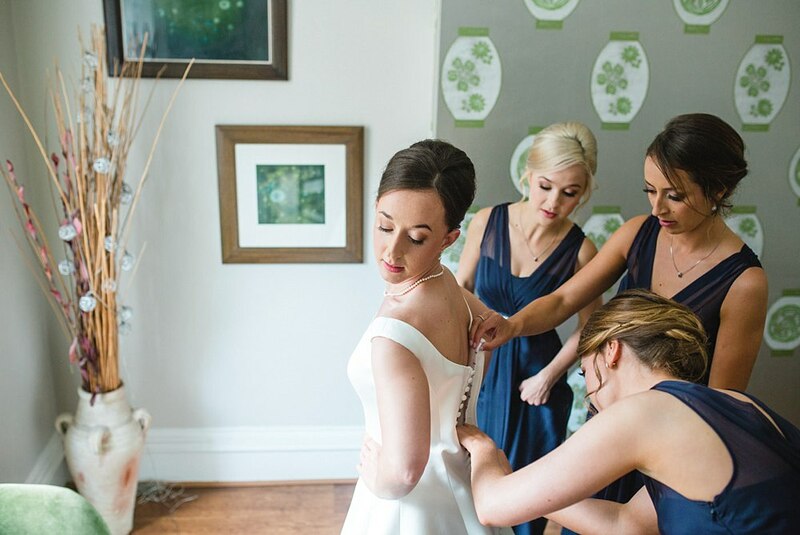 Sarah and David certainly ended their wedding day with a fun and upbeat evening with their friends and family. 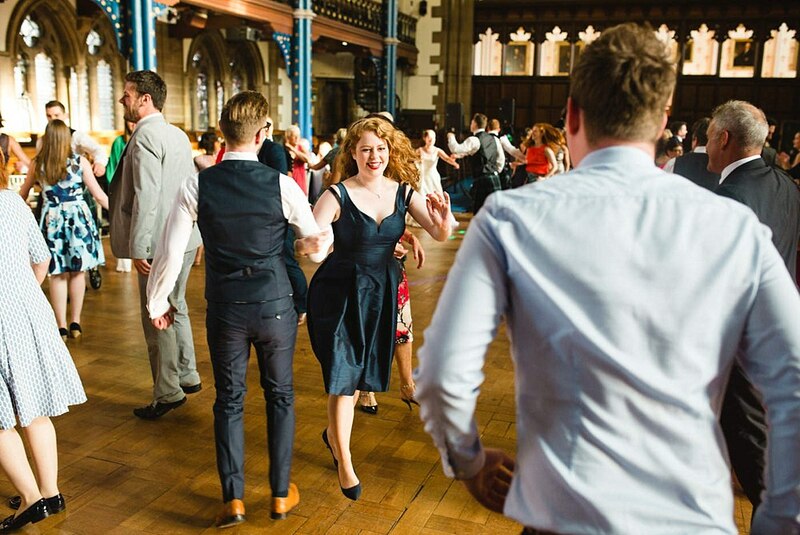 We love leaving a wedding buzzing with dancing, music and laughter! 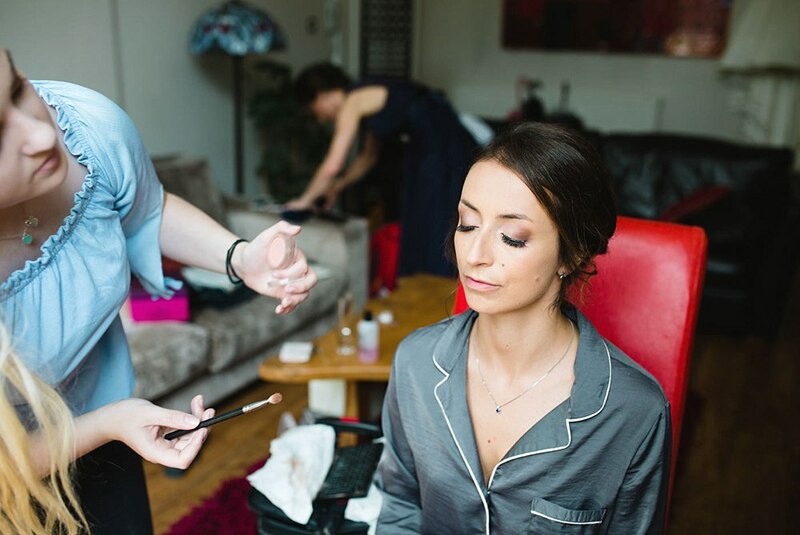 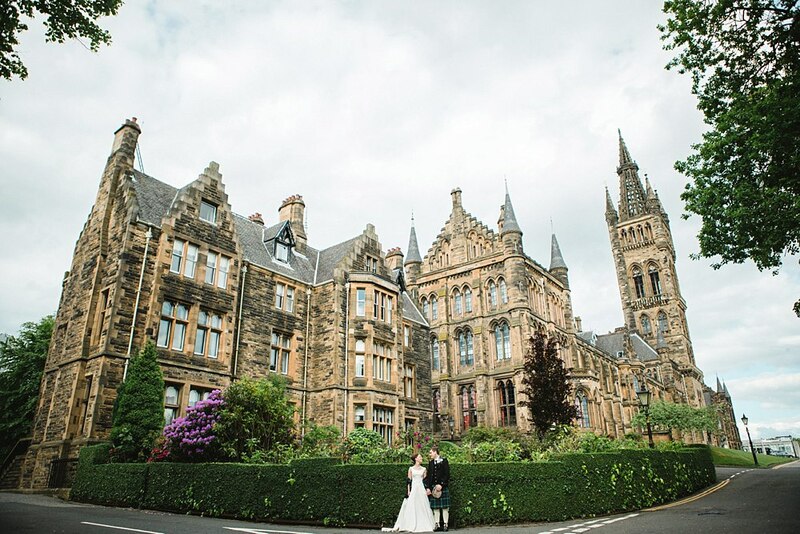 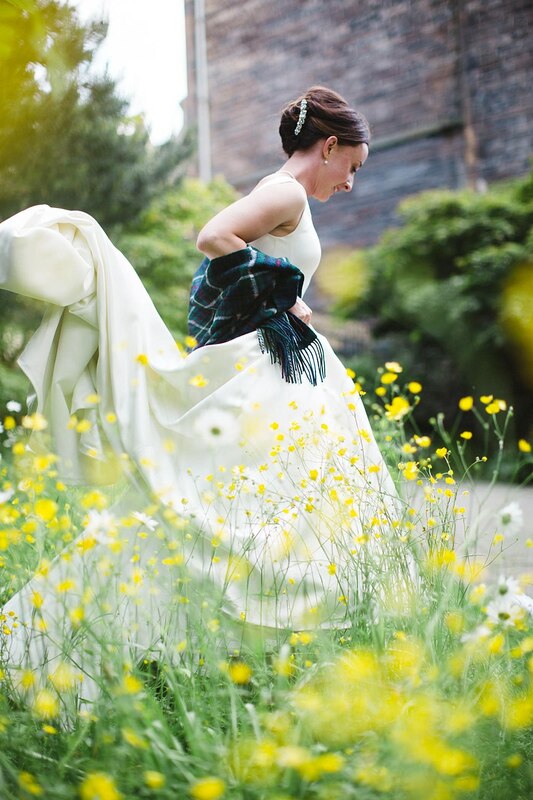 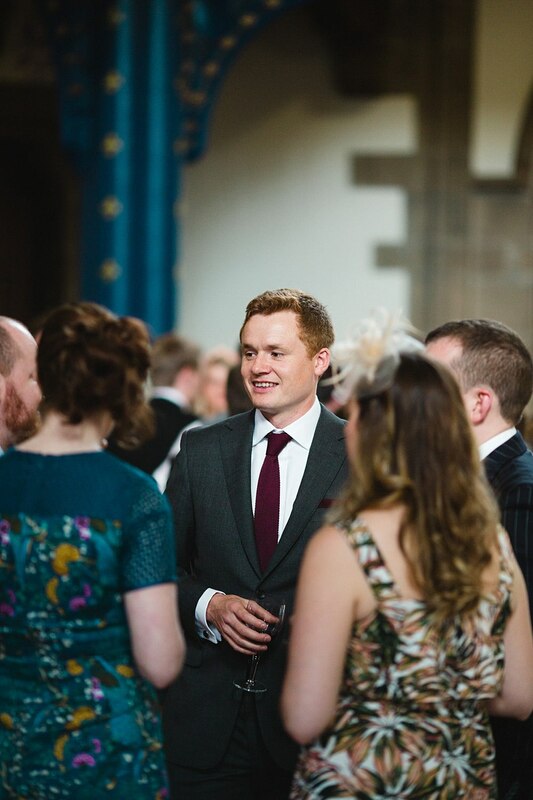 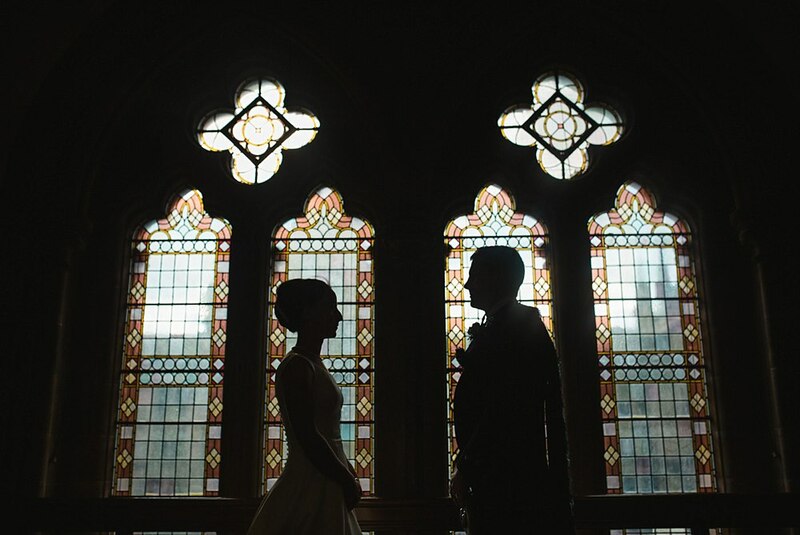 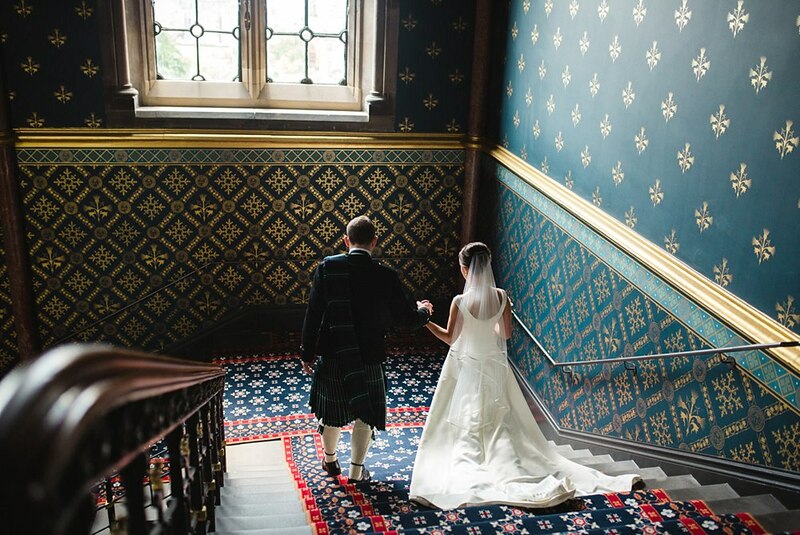 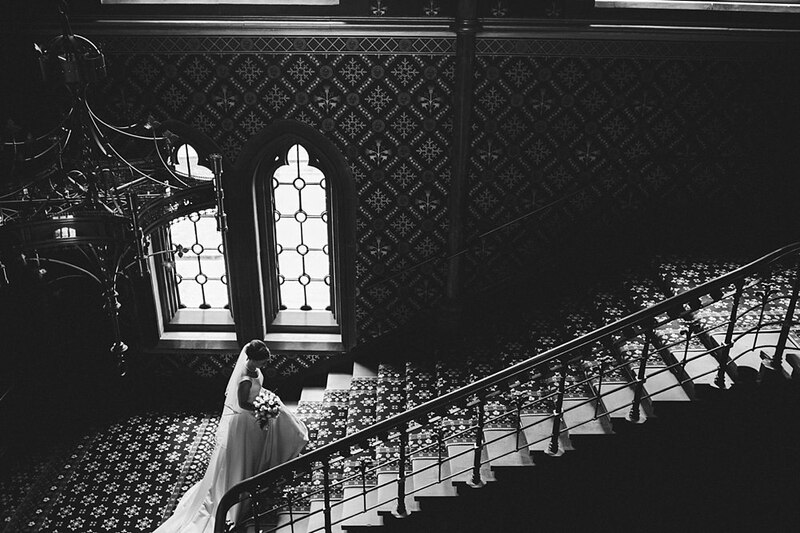 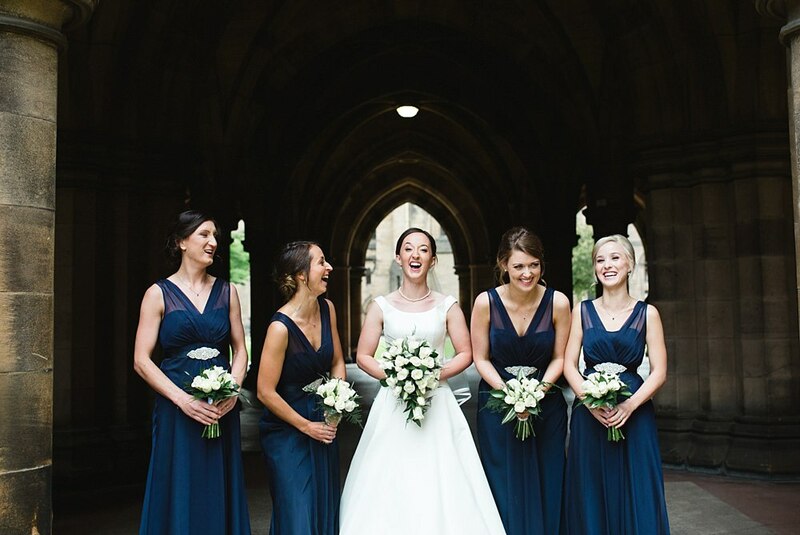 Scroll down for a list of their suppliers and links to some other weddings we have had the chance to capture at Glasgow University. 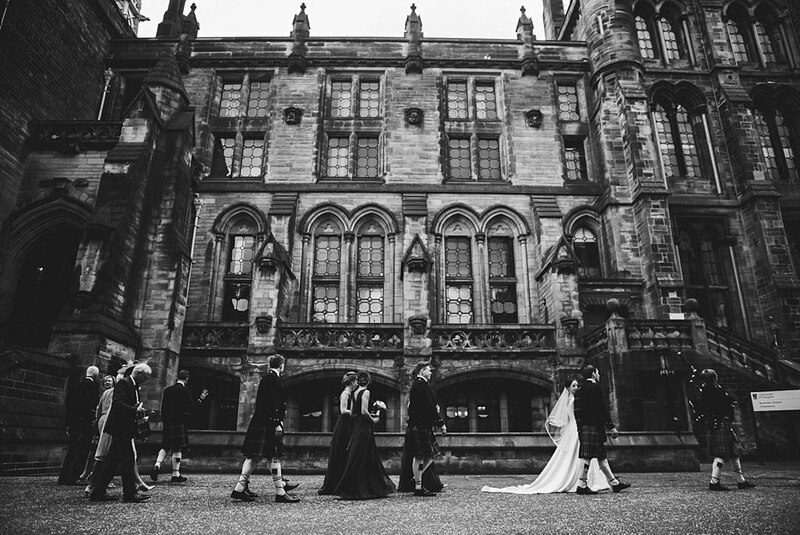 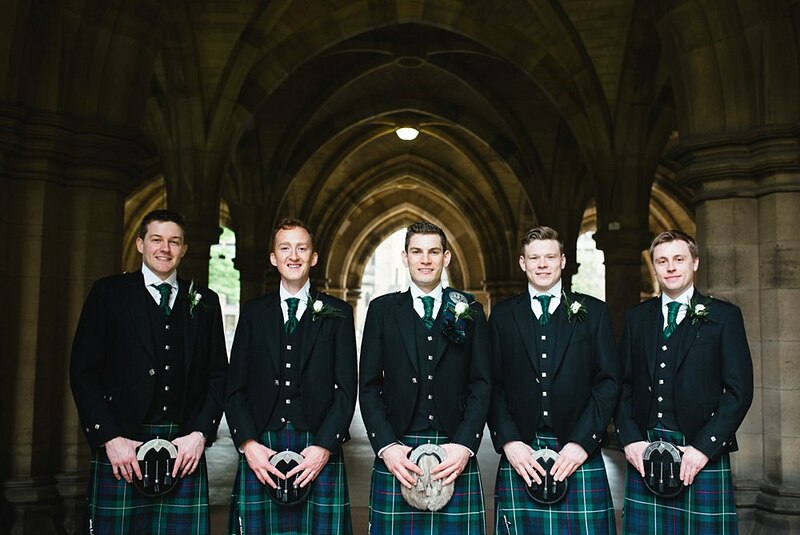 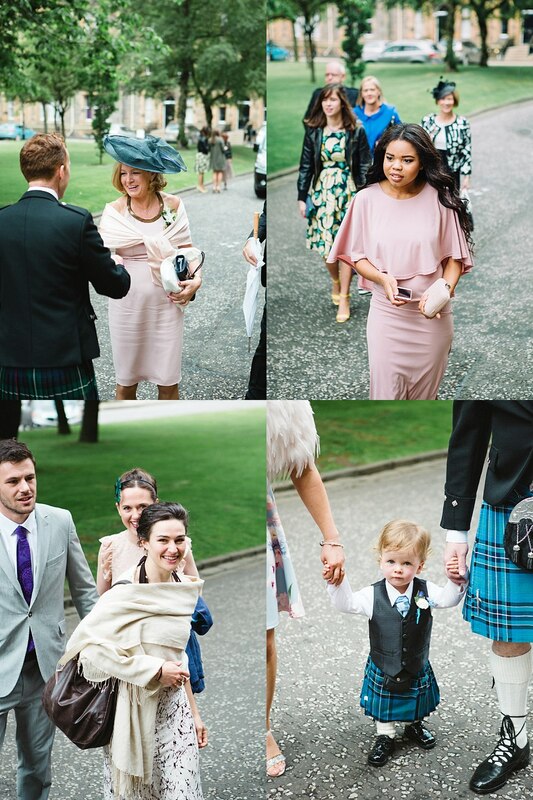 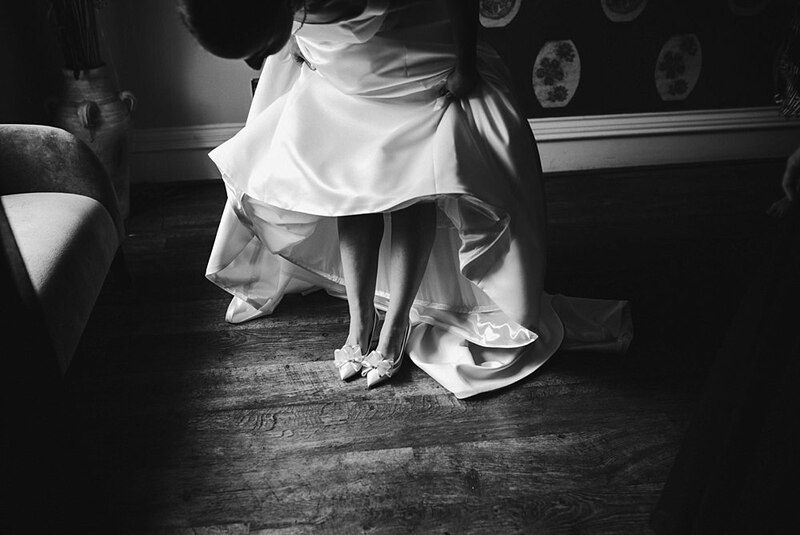 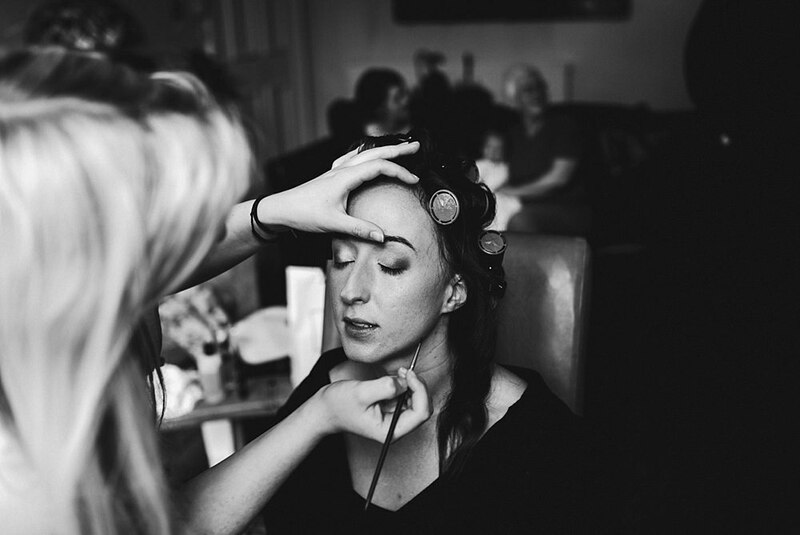 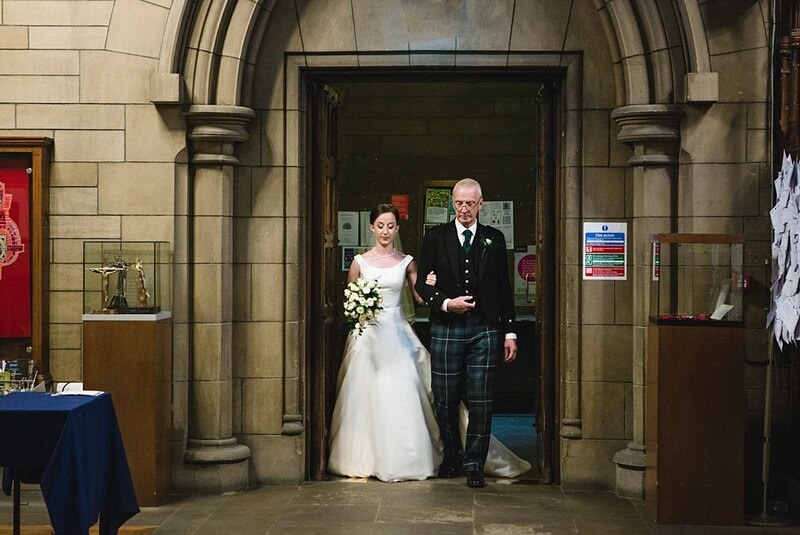 To have a look at other weddings we have captured at Glasgow University click on some of the links below. 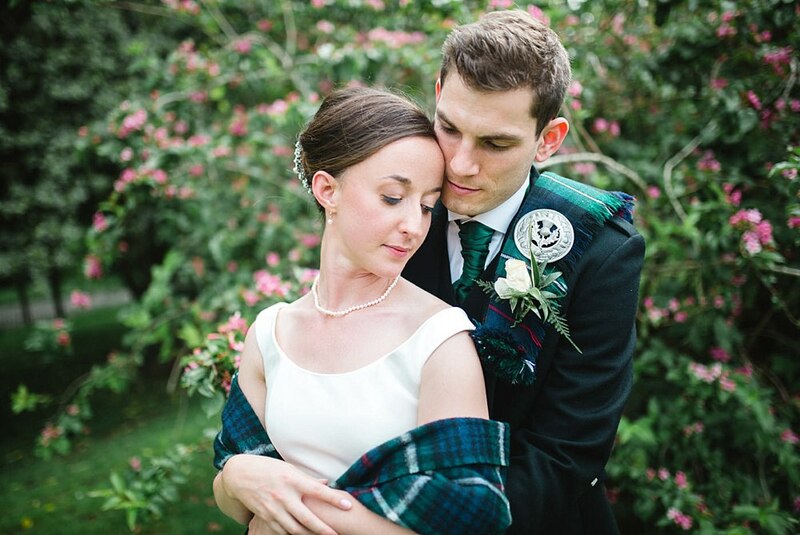 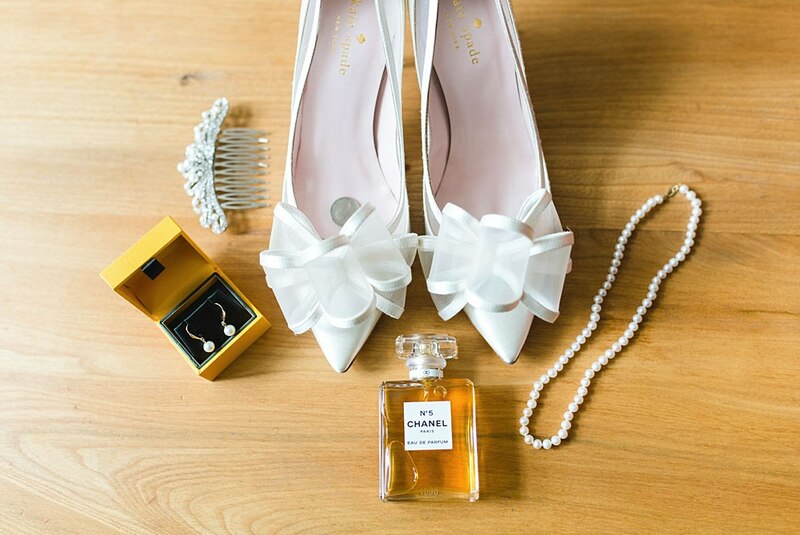 We have also listed Sarah and David’s suppliers below.